Clients of the world, unite! It's 2009, and law-firm clients have had enough. Enough of the hourly billing rates spiraling upward to where they sometimes need a comma. Enough of the documents laden with legalese and obfuscation and pomposity that makes a real person say, "A lawyer wrote this." Enough of the office memorandums and dissertations on arcane caselaw when all you want to know is how to fix your problem. Enough of the first-year associates who make $160,000 a year and work under constant pressure to bill ... more ... hours. There is a conflict between law firms and their clients that is built into the legacy systems that most firms cling to. Legal services are sold under a cost-plus pricing model. There is no incentive to be efficient; in fact, the law firm is penalized for efficiency by not being able to charge as much (because it would be billing fewer hours). When a law firm pitches to a client, the lawyers focus on their experience and expertise — how good they are. ("And did we mention that we have an office in Prague?") And that's fine, to a point. But they never talk about how they can save the client money. Or how they can fix the client's problems faster. Ever ask why they can't tell what the work will cost? Usually, you get an answer along these lines: "Because there are too many variables. We just don't know what it's going to cost." Look: if you need a lawyer, that means you're already facing some uncertainty. Why must the lawyer give you more uncertainty? If the lawyer doesn't know what it's going to cost, and the lawyer's the "expert," then who does know? Other service providers face variables in their lines of work. If you fly from Boston to Chicago, you pay a certain price for your ticket. That price might vary based on a host of factors, but at least you'll know the amount before you agree to fly. What if you hit a big headwind over Ohio? The plane's going to burn more jet fuel than expected. What if there are delays at O'Hare? More jet fuel. What if a snowstorm causes you to get rerouted to Atlanta? Even more jet fuel, overtime, maybe even a hotel room. The airline's not going to hit you up for all these extra costs. Why should a lawyer? Part of the reason that lawyers are different is because lawyers believe they are different. Many lawyers don't think of themselves as businesspeople. Instead, they are "practitioners." The law is a "profession," not a "trade." This way of thinking, this guild mentality, leads to arrogance, and a failure to focus on the clients' needs. This blog is all about reversing that trend. We have some experience in this. Our law firm, Shepherd Law Group (a Boston firm that fixes companies' workplace problems), hasn't billed a single hour in over two years. And there are other voices out there, too. Look down the right side of the page at the blogs and books that are carrying the torch for clients. Below are some client-related posts republished from our sister site, Gruntled Employees, which is a blog for people who deal with employees. We want to hear from you. If you're a law-firm client, and you have something to complain about, or something to praise, email me (the link is at the top right). If you're a lawyer (or other professional) who's casting aside the legacy systems and sticking up for clients, let me know. And if you disagree, and want to defend the Old World model, I'm happy to hear you out and have an open dialogue. Find a new measure for performance. Don't secretly keep track of time. He also uncovers the secret of abandoning hourly billing: "The move from billables to flat fees is not just a practical change; it’s a different way of thinking." That's certainly true. It's not about the accounting — it's about delivering value to the client. The term alternative billing might seem innocent enough, but those two words make Jay Shepherd’s skin crawl. As CEO of Shepherd Law Group in Boston, the enterprising attorney thinks his firm’s flat-fee business model is not simply an alternative to the billable-hour standard: It eventually will become the commonplace way to run a law practice. I hate the term "alternative billing." It has that sneering, look-down-your-nose quality to it, like "alternative lifestyle." And many law firms still think of it that way. BTW, Dave had another nice piece in the February issue of the ABA Journal: "Taming the Billable Beast." Top firms told the Financial Times that they were increasingly offering alternatives to hourly rates and making more use of cost-cutting business practices, such as putting services offshore. Tim Jones, head of the London office of Freshfields Bruckhaus Deringer, said that, although hourly billing still had a “fairly central role in most people’s thinking”, firms were increasingly offering clients deals such as fixed fees or rates tied to the success of transactions. The "efficiency of working practices," as Freshfields's Jones puts it, is the key point. Hourly billing, as we've said many times, discourages efficiency by rewarding inefficiency. Peel reports that at Linklaters, another "Magic Circle" firm, a "significant amount" of the work is no longer billed by the hour. Peel does note that British firms have been somewhat slower than their American cousins in considering alternatives to the billable hour. But it's comforting to know that the opponents of hourly billing have allies overseas. The Great Billable Hour Debate of '08 is playing out north of the border, too. Maclean's magazine is the Canadian equivalent of TIME or Newsweek, with nearly three million readers every week. In the current issue, writer John Intini has a terrific article called "Time to stop the clock? A backlash against the billable hour has some firms charging flat fees." John covers the entire issue from the reasoning behind hourly billing to the problems it causes for clients and lawyers. His reporting also uncovered some great lines: When asked how fast law firms are shifting away from hourly billing, Vancouver consultant Richard Stock quips, "Global warming is faster." Shepherd, who describes the billable hour as “anti-client,” says the savings his six-lawyer outfit provide is the result of team efficiencies, not cut rates. In addition to flat-fee pricing, his firm offers unlimited advice plans: for a fixed price a client can call the office as often as needed without worrying about a big surprise at month’s end. “It’s almost as if we’re in-house lawyers for them,” he says. That's true, but you have to start somewhere. Great article, John! What's fascinating to me about this debate is that is not an "apples to apples" comparison. Tom Kane and Jay Shepherd aren't even really talking about the same thing. What Jay Shepherd is talking about is a complete paradigm shift in how lawyers (or any professionals, for that matter) should think about pricing their services. Not that I'm discounting Tom Kane's mindset. To me, a law firm (like mine) that uses alternative fee arrangements but still uses timesheets internally is still much better than a law firm that bills all its clients by the hour. Indeed, if we ever move the profession to that brave new world without the billable hour, doing it this way will probably be the transitional phase to Shepherd's wholly value-driven approach. But it certainly makes you want to learn more about Shepherd's way of pricing his law firm's services. Make sure you check out Mike's blog, which now adorns our Blogroll over on the right of your screen. While I still bristle at the term "alternative billing" (which smacks of the seamy, like "alternative lifestyle"; see last year's post, "No-alternative billing"), Mike brings a broad, balanced approach to the conversation. Welcome, Mike! The fool or the fool who follows him? In our last episode, "The billable beast of burden," I talked about the recent ABA Journal article that described Shepherd Law Group's successes in banishing the billable hour ("Taming the Billable Beast," February 2008). I also mentioned that there were naysayers about. There is no way to know how much time is being spent on matters if you don’t keep track of hours! So, either they are guessing which means they don’t have a clue what their profit margin is either, or the firm has some other means of determining costs that I am unaware of. "Duh," indeed! Wow. We're being foolhardy to the point of being duhed. (New word; pronounce it "dud." Think of me when you use it. "Hey, Mom! In school today my teacher duhed me.") So I was all set to roll up my sleeves and explain how Tom's "simple reasoning" (IHHO — in his humble opinion) was flawed, when I learned that the Godfather of Value Pricing had already done so. No, not Duh. There are over 500+ firms worldwide, across all professional knowledge firm sectors, from advertising to CPA firms and law to IT consulting firms, that don’t do timesheets. This doesn’t mean they don’t know their costs, it’s a question of WHEN do they know their costs. 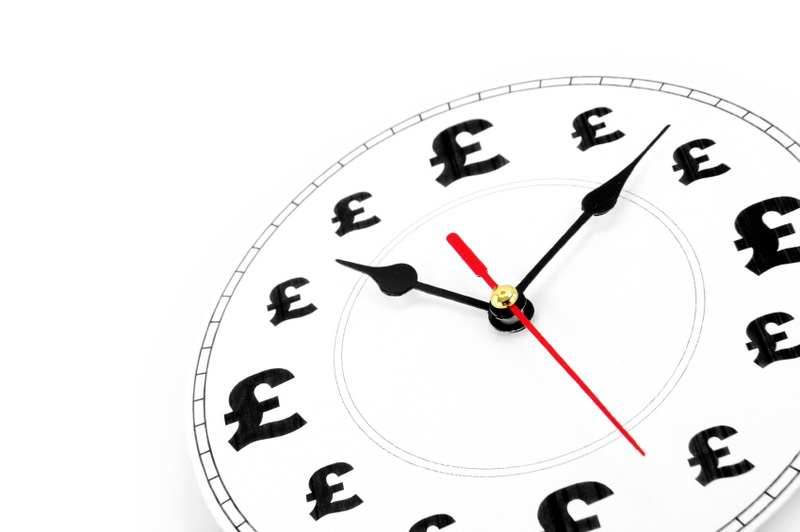 With timesheets, you only know them in arrears. With our methods, you know them BEFORE you do the work. What good is it to know your costs if the client doesn’t like your price? This is known as price-led costing; Toyota has been using since it was founded in the 1880s, and Toyota does not have a standard cost accounting system (nor do they do timesheets). I just wanted to set the record straight. If the Shepherd Law Group is smart — and they are — they will trash timesheets. [Thanks, Ron. Already have. — JS] They are the cancer in the professions; it is just a matter time before they will be buried. So what good is measuring hours logged on a timesheet? Do you think you can measure the value of a Picasso, the deliciousness of a meal prepared by a five-star chef, the splendor of a building designed by an architect, or the acting ability of an actress, by looking at the hours they work? As they say, it’s easier to count the bottles than describe the wine. You remain mired in counting and costing the bottles, while we are interested in the quality, taste and subjective value of the wine. Knowledge workers aren’t inspired to track every six minutes of their day. No one entered this profession with the objective of logging the most hours. Not only is it the wrong theory of value, it’s also demeaning, demonstrating a lack of trust, treating them like children. Oh, snap! I really couldn't have said it better myself. No, we don't track hours spent at Shepherd Law Group, secretly or overtly. Other lawyers often shake their heads knowingly and then ask me how I know whether my associates are working. "Uh," I reply, "with this crazy new thing called management." (They usually shake their heads some more and wander off, muttering.) Our associates work hard because they want to help our clients and they want to do a good job. That's why we call them professionals. Professionals don't need an annual billables goal to make them work hard. Now I don't want to dis Tom too much; he's written some good things against hourly billing. And he went to my dad's alma mater, the Cross, so he can't be all bad. Still, he may think I'm foolhardy for trashing timesheets, but there will soon be many other "fools" following our lead. Finally! The writers' strike is over and we can all get back to work. Thank goodness I can now live off my DVD residuals, or whatever. Ahh, the power of the Union. Nothing like sticking it to The Man ... and the makeup person, and the costume person, and the hair stylist, and the gaffer (whatever that is) and the best boy (just what makes him so good?). Shutting down an entire industry for a hundred days and billions of dollars is a small price to pay for a tiny-but-respectable percentage of the revenue generated by webisodes. Because everyone watches webisodes ... right? Ka-ching! Since we last spoke, the hourly billing debate has been going full throttle. The current issue of Crain's Chicago Business reports that "only 16% of in-house lawyers say hourly billing is their preferred arrangement." Yet hourly billing remains the dominant way that lawyers bill their corporate clients. 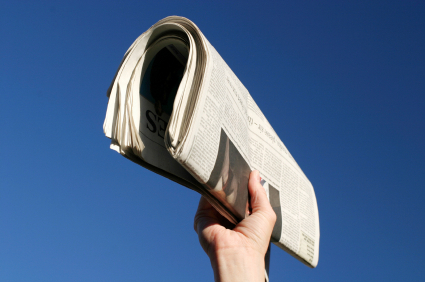 Samantha Stainbaum's article, "The end of hourly fees?" quotes Northwestern Law dean David Van Zandt, who offers a possible explanation: "It's difficult for companies to evaluate what they're getting, so they fall back to hourly billing." That's possible. Still, if five out of six in-house counsel would prefer something other than hourly billing, don't we outside counsel have an obligation to provide it? The February issue of the ABA Journal has a story by David Gialanella called "Taming the Billable Beast." In it, he talks about three law firms who he says are "changing the billable equation last year in hopes of reducing associate and client dissatisfaction." Two of the firms focused on first-year associates' billing requirements: Dallas's Strasburger & Price, who cut first-year billing requirements from 1,920 hours a year to 1,600; and Atlanta-based Ford & Harrison, who got rid of first-year requirements altogether. Shepherd Law Group in Boston has thrown out the billable hour altogether in favor of flat fees and fixed prices, and it could not have asked for a better result. Now there’s no looking back for Shepherd, whose firm handles labor and employment law. He recently added a sixth attorney, and he denies secretly keeping track of the hours spent on each case. In their new billing model, Shepherd and the other partners can get together to brainstorm strategies—something that would have required billing for several different attorneys. Most clients would never stand for those sessions if charged by the hour. It’s easier for a boutique firm to institute a change, but Shepherd cannot argue with results: Research becomes more focused; soon, efficiency improves. For the Shepherd Law Group, at least, eye-popping numbers are to follow. (Thanks, David.) The point here isn't to trumpet our firm's successes (at least that's not the main point). The point is that clients want a better system, one that puts their interests in line with their lawyers' interests — rather than in conflict with them. And it can be done successfully. But there are plenty of naysayers. Next post: The naysayers say "nay." Stay tuned ... (unless there's another writers' strike). Busy, busy, busy. I know. I hate it when bloggers make excuses about why they haven't posted in a while. But we've been very busy at my firm lately. (So busy that I missed noting Gruntled Employee's first anniversary, September 28.) Why so busy? Because we abandoned hourly billing. Our revenue growth comes from two sources: new clients fed up with the value-insensitive system of hourly billing, and increased efficiency driven by our flat-fee system. Our up-front pricing places our interests squarely aligned with our clients' interests, which makes them happy and forces us to be more efficient. But don't take my word about it — I've already written many posts on the subject of hourly billing. Instead, check out this article from today's Boston Globe. Sacha Pfeiffer, the Globe's world-class legal-business reporter, profiled our firm and its campaign to kill the billable hour. Whatever I could tell you, she says it better. And the article has kicked off a huge discussion. As of day's end, the story had been emailed via the Globe's site, Boston.com, 674 times (surprisingly, only once by me). That was more than four times more than the story of the Red Sox sweeping the Angels in the ALDS, and third-most for the past week. Ron Baker's Verasage Institute, "Another Trailblazer: Shepherd Law Group"
Susan Cartier Liebel's Build a Solo Practice, LLC, "The Billable Hour "Cockroach" is Being Snuffed Out....One Law Firm At a Time"
Law School Dilettante, "I really shouldn't be thinking about jobs yet"
Andrew Perlman, Legal Ethics Forum, "Billable Hours — A story and a question"
Marie S. Newman, Out of the Jungle, "A trend in billing?" and, more acridly, Drew Curtis's news aggregator Fark.com with 122 comments and 10,135 clicks as of midnight. The hourly rates of the country's top lawyers are increasingly coming with something new — a comma. Still, some lawyers are confident they're worth $1,000 per hour, and that now's the time to break the barrier. "I haven't personally experienced resistance to my billing rates," [Simpson Thacher litigator Barry] Ostrager says. "The legal marketplace is very sophisticated." According to the article, law firms blame the rate increases on rising costs, such as $160,000-a-year salaries for first-year associates. Ironically, when interviewed about associate-salary increases, these law firms often say that they don't intend to pass it along to clients by raising rates. See Delaware Law Weekly, Apr. 21, 2006; Law.com, Mar. 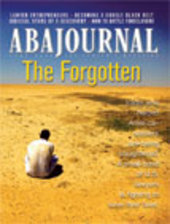 20, 2006; ABA Journal Report, Feb. 2, 2007. Is the legal marketplace so "sophisticated" that it will overlook these earlier protestations? Considering a major-league baseball player can make the equivalent of $15,000 per hour, "$1,000 for very seasoned lawyers who can solve complex problems doesn't seem to be inappropriate," says Mike Dillon, the general counsel of Sun Microsystems Inc. Compared to Alex Rodriguez's $25-million-a-year deal, these lawyers are a bargain. For more reactions, see The Journal's "Law Blog Thousand-Dollar Bar"; Law.com — Legal Blog Watch's "Billing Rates Hit the $1,000 Mark"; Legal Profession Blog's "$1,000/hour? Nero has become managing partner and is fiddling away...." and "$1,000 per hour"; and Blawgletter's "The Hourly Fee Must Die." Lawyer Scott Turow, acclaimed author of Presumed Innocent and other legal thrillers, has fired a warning shot at hourly billing. 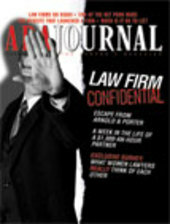 His provocative article "The Billable Hour Must Die" is the cover story of this month's ABA Journal. It's a well-written, well-argued piece that catalogs the problems that hourly billing creates for lawyers and the legal-services industry. But from the time I entered private practice to today, I have been unable to figure out how our accepted concepts of conflict of interest can possibly accommodate a system in which the lawyer’s economic interests and the client’s are so diametrically opposed. I ask you to ponder for just a few minutes whether that rule can really be fulfilled by hourly based fees. As Gruntled readers know well, I agree with this argument. If I bill by the hour, and a task takes me longer to complete, that's good for me (more money) and bad for my client (more time before satisfaction). That's why my firm has completely abandoned hourly billing — we've billed exactly 0.0 hours in 2007. Once a law firm has done the analysis and has learned how hourly billing is bad for its clients, how can it not be unethical to continue the practice? Luke Gilman, Blawgraphy: "More on the Billable Hour, Charting Your Own Course." Key quote: "The overriding incentive of the billable hour regime is to bill as many hours as you can get away with. When you have a fiduciary duty to your client and a minimum billable hour requirement from your firm, the conflict is inevitable." 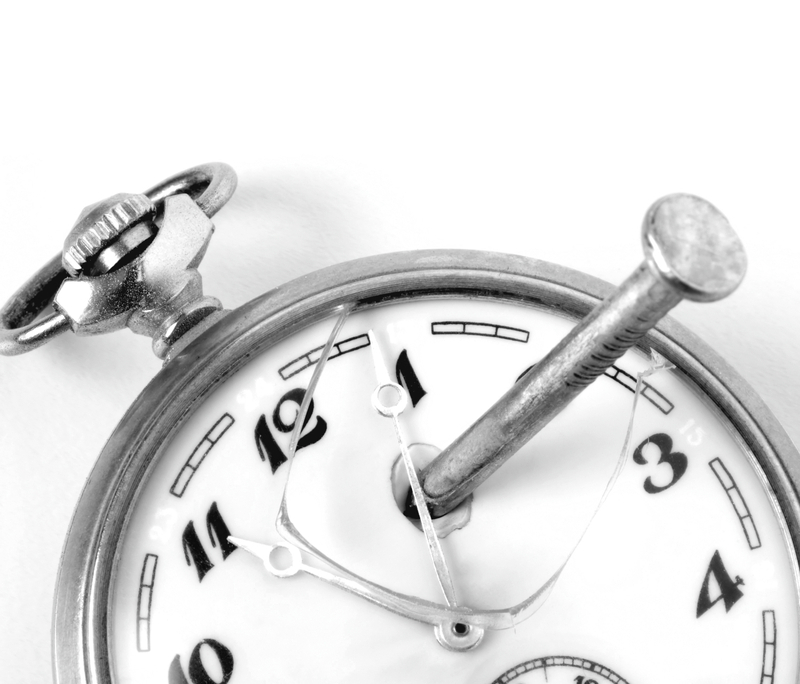 Daniel J. Solove, Concurring Opinions: "Bye Bye to the Billable Hour?" Key quote: "The billable hour does little to measure and reward quality of work. It simply measures how long it took an attorney to complete a particular task." Please lend your own voice to the debate. I hate the term "alternative billing." It has that sneering, look-down-your-nose quality to it, like "alternative lifestyle." Actually, I think lawyers have done a very good job of marginalizing it. I mean, there's hourly billing, and then there's ... what? The lawyers look away and reply, "Well, there's ... (ahem) ... alternative billing." "Oh?" the clients ask. "How does that work?" "Uh, well, there are contingency fees, blended rates, flat fees, fixed fees, retainers. That sort of thing. It's not the traditional way of doing things. Very few of our clients ask for it." As if there's something wrong with it. As if traditional (hourly) billing came over on the Mayflower. (In fact, it's only two or three lawyer generations old.) And the menu of "alternative" arrangements sounds ominous: a collection of ways to bilk the client. Actually, 62% of in-house counsel say they're interested in "alternative" billing arrangements, according to the Association of Corporate Counsel's 2006 Managing Outside Counsel survey. This figure is surprisingly high, since most in-house lawyers migrated from large law firms where the almighty billable hour rules. But after working in the real world of business and bottom lines, in-house lawyers are seeing hourly billing for what it is: a way to increase clients' bills. Maybe clients will continue to put up with this. But I doubt it. Pretty soon, they'll start looking for "alternative" lawyers. Oh, they may tell you that they don't. "Hate" is such a strong word, and so forth. But most businesspeople really, really don't like lawyers. And what do these three things have in common? They're all examples of lawyers putting themselves first, instead of putting clients first. 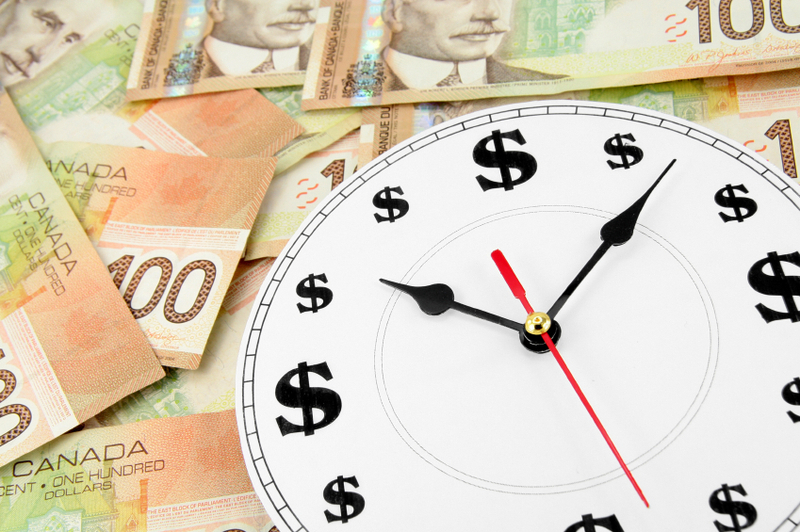 Hourly billing prices legal services based on the time the lawyer spent, not on the value the client received. What difference does it make to the client whether something took two hours or four hours? Rarely does the client get twice as much value when something takes twice as long (and thus costs twice as much). Finally, businesspeople ask their lawyers business questions but get legal answers in return. How many of you have asked a lawyer a question about your business only to receive a memorandum on what a statute or regulation or court opinion says. You don't care about the dicta in Smith v. Landingham; you just want your lawyer to solve the problem. For more about putting clients first, read Dan Hull's always-excellent What About Clients? blog. Dan's a lawyer who understands about putting his clients first. His blog's tagline asks the fundamental question: "True service — are we lawyers delivering?" I'm certain that businesspeople don't hate Dan. Dan started the year off with a terrific list of client-service blogs, which include heavy hitters like Guy Kawaski's How to Change the World and David Maister's Passion, People and Principles. Check out the list here. Despite criticisms of the hourly billing format, its use continues to grow. In 2005, 87.1 percent of companies said they used standard or discount hourly rates, compared with 81.2 percent in 2004 and 81 percent in 2003. While 62 percent of respondents are open to alternative fee arrangements — including fixed, blended hourly rate, contingency and retainer — they say that 90 percent of outside counsel resist the suggestion. And companies are quicker to fire outside counsel. In 2005, 55.6 percent reported they terminated the relationship with at least some of their firms, up from 50.7 percent in 2004. The most-cited reasons were poor quality of work and results, lack of responsiveness, high fees and personality issues. I wonder how much of the "lack of responsiveness" had to do with resisting clients' requests for alternative billing. You can get the ACC's press release here, and you can order the survey here. Compare all this with Ed Poll's post on the popularity of alternative billing in his excellent Law Biz Blog, and the discussion in Carolyn Elefant's always-insightful My Shingle.